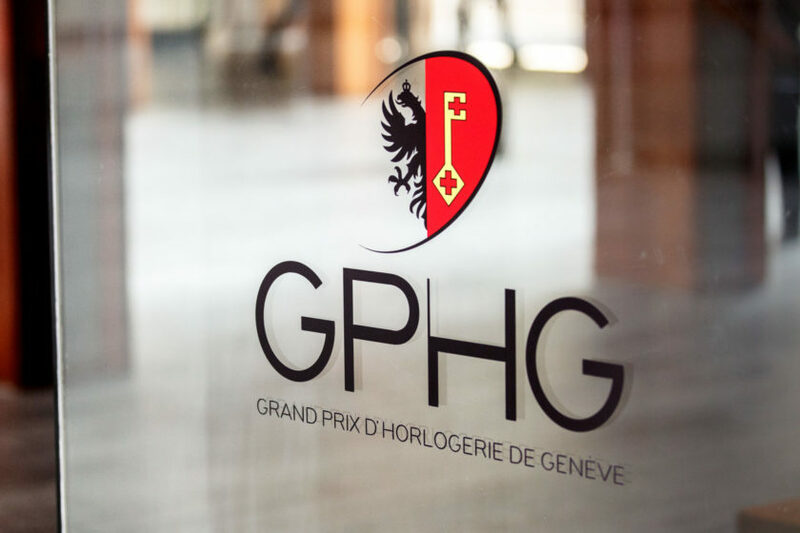 With GPHG Awards taking place on Wednesday, we are wrapping up our coverage with the Mechanical Exception category. The pieces found in this category check all the boxes for horological geekdom. The category requirements looks for a special mechanism such as an unique display, striking component, a belt driven movement, or other innovations in the market place. This year is no exception and each piece commands numerous man hours and showcases how far each of the manufactures have been able to push the boundaries of hand crafted pieces. The latest from A. Lange in the “Pour Le Merite” series is the 5th masterpiece in the line. For the piece the manufacturer has added placed together a fusee and chain transmission, tourbillon, chronograp, rattrapante function and perpetual calendar. 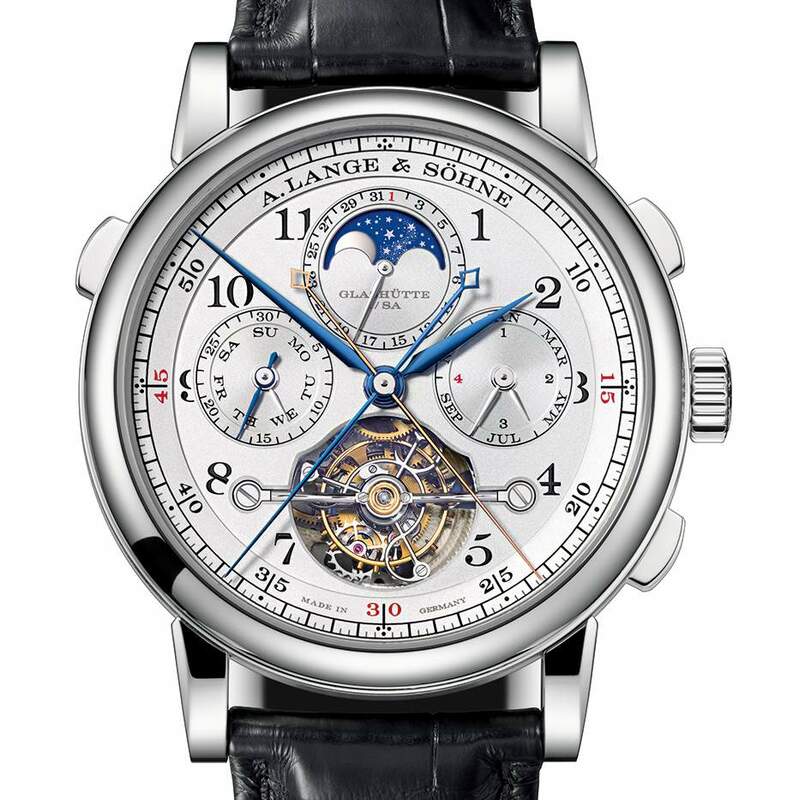 Currently this is A. Lange’s most complicated watch and if you have followed the line, that is saying a lot. 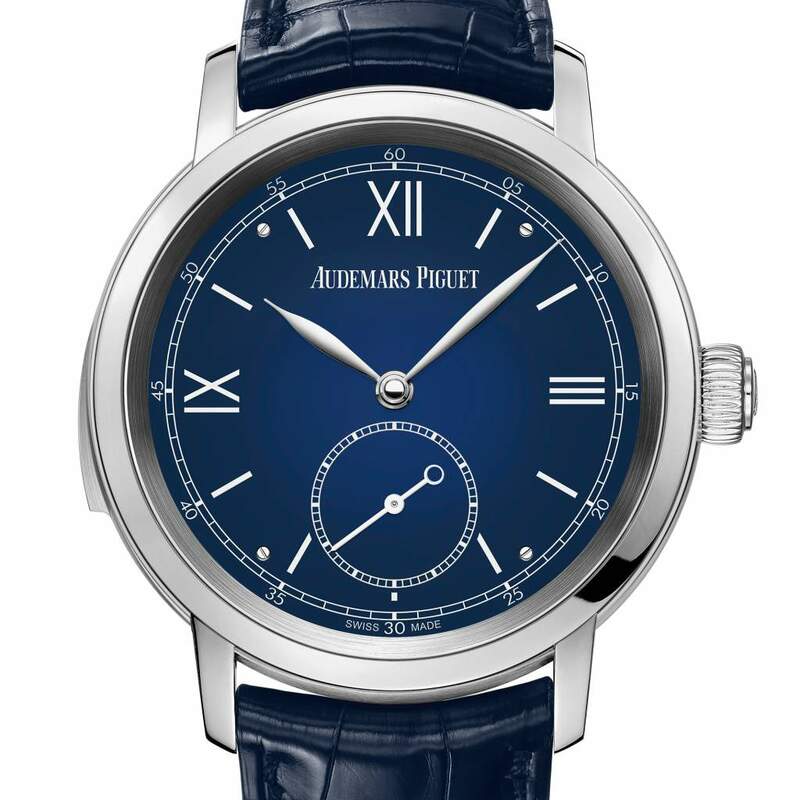 Housed in a 43mm platinum case, the piece pays tribute to A. Lange’s pocket watches. The perpetual calendar is accurate to the year 2100 at which point a one time correction will need to be made on the last day of February. After the adjustment the piece is then accurate until for another hundred years. The chronograph function is operated by three pushers. The traditional chronograph pushers are found on opposite sides of the crown, while the third pusher found at the 10 o’clock position operates the split second function. 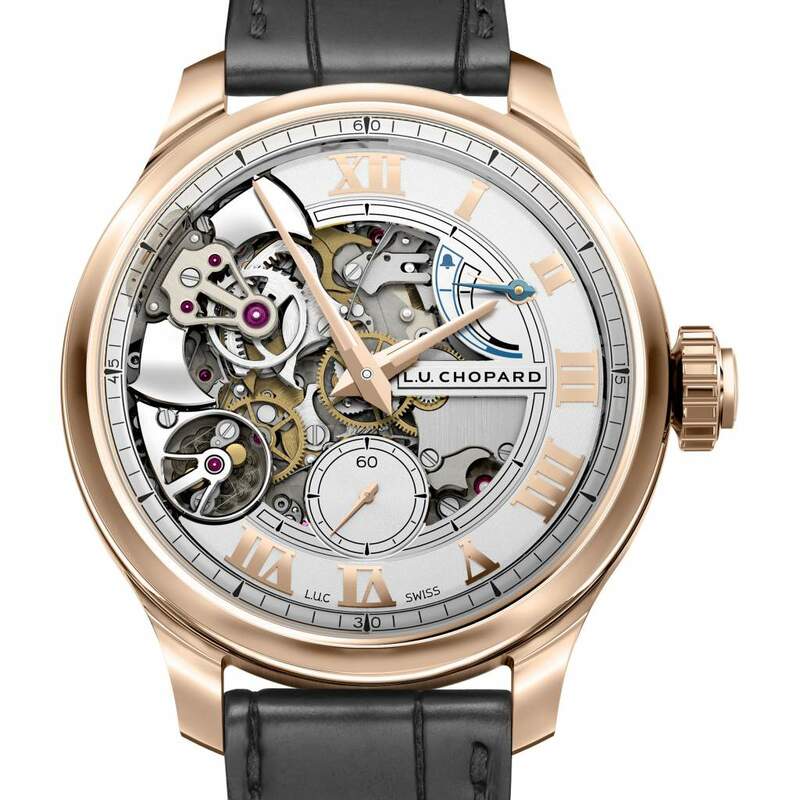 To improve stability and accuracy the piece features a one minute tourbillon which helps to counteract the disruptive affects of gravity and a fusee and chain mechanism that helps to counteract the loss of torque in the mainspring barrel. The line is limited to 50 pieces in platinum. 525,000CHF. 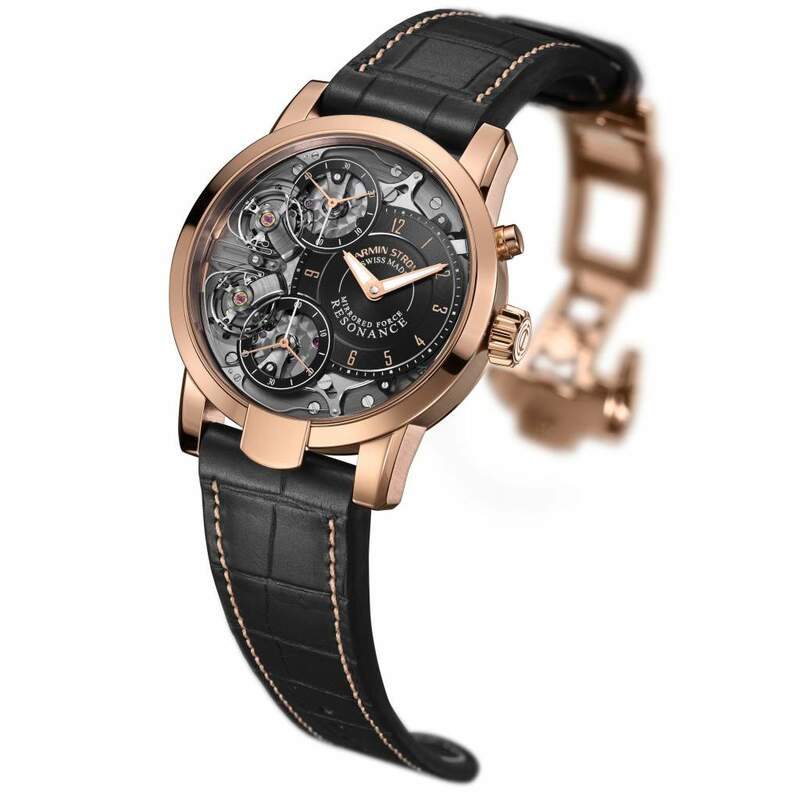 In an effort to drive precision in the horological space Armin Strom’s Mirrored Force Resonance takes advantage of the phenomenon in physics that watch is named for. Resonance occurs when a system is able to store and easily transfer energy between two or more different modes, eventually moving towards synchronization. Due to the sophistication and difficulty in creating the complication it is rarely seen and used. As a matter of fact, there have been only two manufactures that have successfully used resonance in a piece, Antide Janvier (1751-1855), Abraham-Louis Breguet (1747-1823). The benefits of executing on the feature, however are well known. The three main benefits are 1) offering a stabilizing effect on timekeeping, 2) a conservation of energy, 3) a reduction of negative effects due to shock and external stimuli to the timepiece. The piece is powered by the manually wound Caliber ARF15 and the two connected oscillators which move in opposite directions are prominently displayed on the dial side of the watch. The view allows for an animated display of the functionality of the complication that piece takes its name for and when seen live is truly captivating.Just 50 pieces will be made. 67,000 CHF. For the Les Cabinotiers the best word to describe the complications assembled within the piece is everything. Just everything: Hours, minutes, perpetual calendar, day/night indication, precision moon phase, age of the moon, running equation of time, sunrise and sunset time, day and night length, seasons, solstices, equinoxes and zodiacal signs, tide level indicator, Sun-Earth-Moon conjunction, opposition and quadrature, transparent sky chart of the northern hemisphere with indication of the Milky Way, of the ecliptic and celestial equator, hours and minutes of sidereal time, tourbillon, 3 weeks of power reserve (6 barrels), power reserve indication. A total of 23 astronomical complications appear on both the front and back of the piece and allows for time to be told civil, solar and sidereal with each being driven by its own gear train. Adding to the technical proficiency of the manufacture, Vacheron has been able to house the 514 part caliber into a movement 8.7 mm thick and the six barrels powering the movement, when fully wound, provide three weeks of power reserve. The piece is a one of a kind. Gordon Henderson: Wow, just wow. 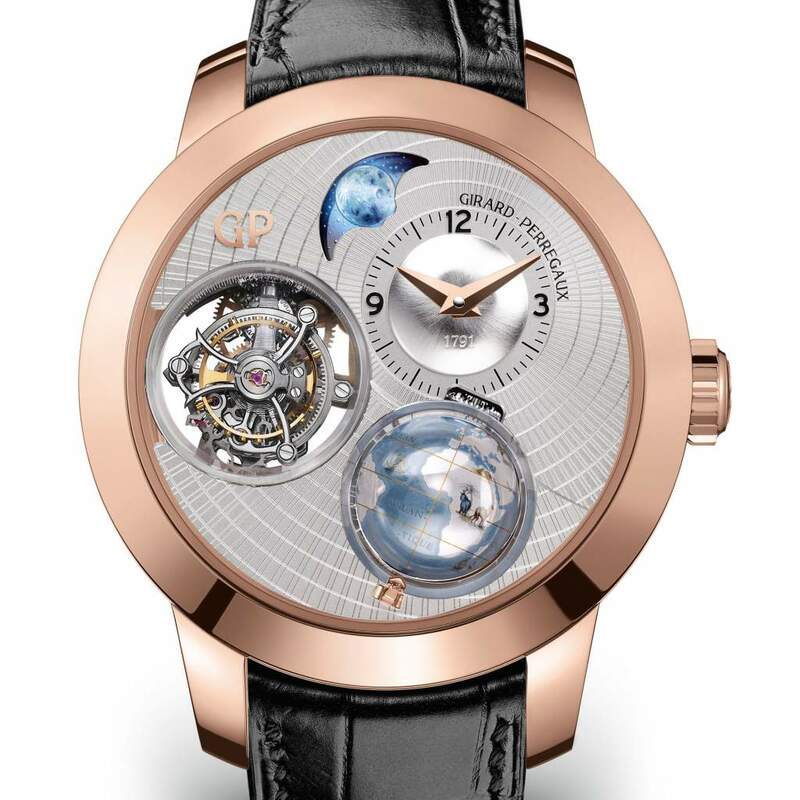 If your brain isn’t melting out of your ears right now, you need to check your horological nerdom. Each manufacture deserves a slow 80s clap for the amount of technical innovation that they have been able to fit into a disc that fits on your wrist. So which one wins the category? In the humble opinion of this editor this will be an area that is almost too call. Visually the both the A. Lange and Girard Perragaux speak to me. The classic A. Lange styling elements work with any complication and are instantly identifiable. The Girard Perragaux offers a clean delivery with the dial and allows for each of the three elements of the piece to standout prominently on the dial. The globe and moonphase work and its amazing. 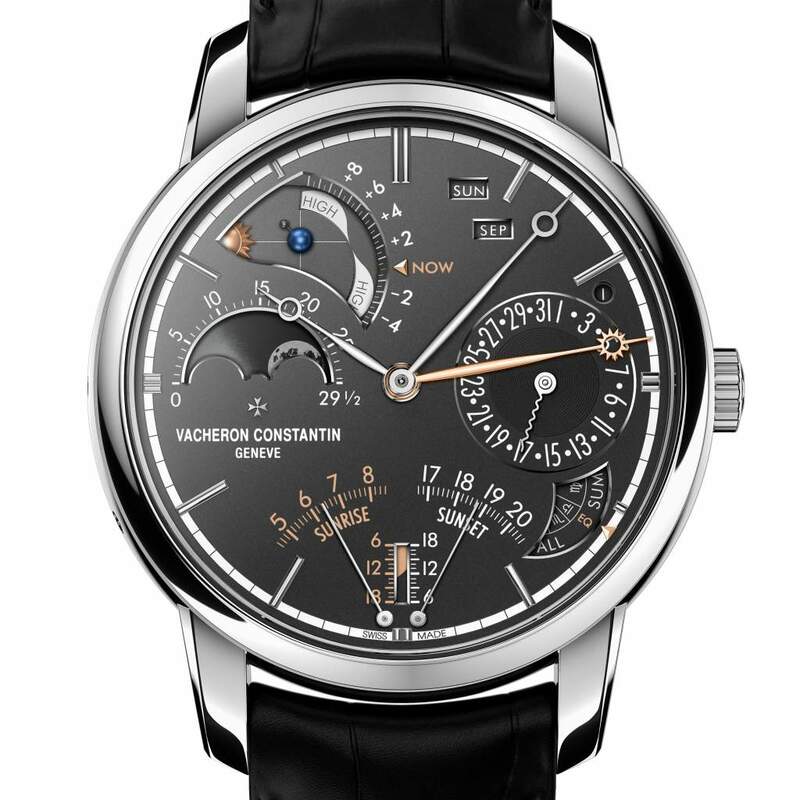 With that being said, the technical tour de force that is the Vacheron Constantin Les Cabinotiers Celestia Astronomical Grand Complication 3600 is too much to not win. It’s one thing to be able to tell time, innovate from an accuracy standpoint and offer other distinctive features, but to be able to tell time three ways, drive accuracy through the incorporation of a tourbillon and provide an unreal 3 week power reserve is amazing. Also only one will ever be produced. Mic drop.